No sooner had the country learn of what the words “personal indiscretion” meant, politicians from all over flung the proverbial chope seat tissue paper to get a seat reserved. It is political kiasuism. The first to indicate interest is somehow more legitimate to compete. Even before the date is set for a by-election, more than a few politicians have their eyes set on the Single Member seat. Chee Soon Juan was the first to react, reserving his party’s three birds with one chope. “This is a prime opportunity for the voters of Bukit Batok to send us into Parliament”, said Chee. 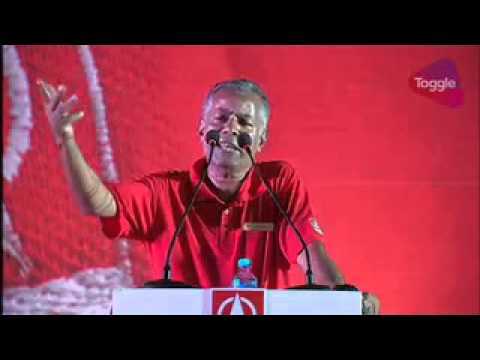 The Secretary General of the Singapore Democratic Party has good reason to be gleeful. Precedence is on his side. 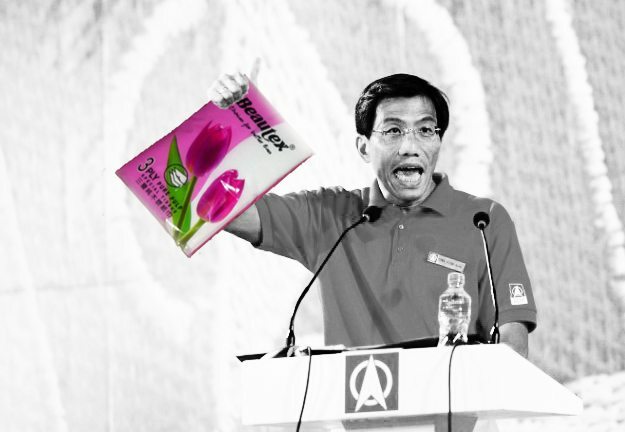 In 2013, Teo Chee Hean said that the PAP never performed well in by-elections because of the “by-election effect”. But which candidate of the SDP would bring it to victory? Many think that Chee himself should stand as candidate. After all, it was he who is the face of the party. Strong General Election results have proven many are convinced of his rehabilitation. Today, he portrays himself as a family man, a seasoned politician who has earned his stripes and it is useful for him that the public doesn’t remember his colourful past. His name is synonymous with the SDP, his charisma didn’t waver and those who like their politicians tough, stubborn and relentless will look forward to the showmanship Chee can potentially bring to Parliament. Chee Soon Juan was defeated in Holland-Bukit Timah GRC against the PAP, gaining 33.38% of the vote. There is also Dr. Paul Tambyah. Once a founding member of MARUAH (a local human rights organization), the medical doctor is a professor of medicine at a major teaching hospital. Chee introduces Tambyah as a person in the upper income group who cares. 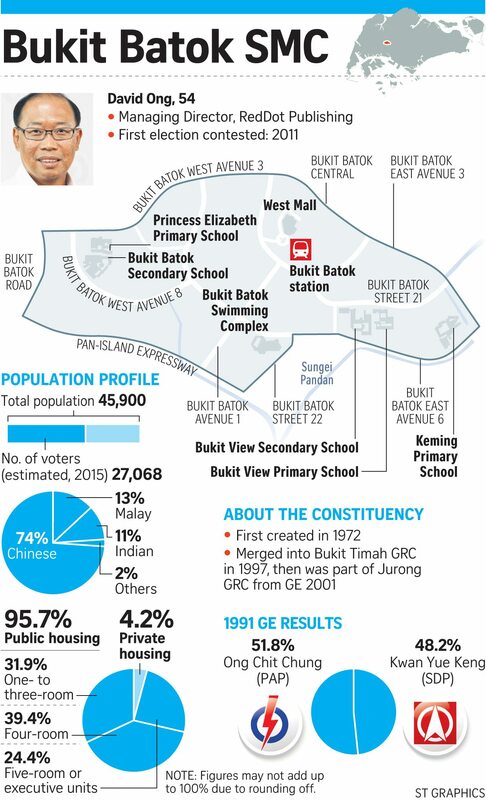 However, Bukit Batok SMC is only 4.2% private housing and 95.7% public housing, with strong representation in the one to four room demographic. The “rich doctor” personality may not be the best fit with this populace. Paul Tambyah was also defeated in Holland-Bukit Timah GRC together with Chee against the PAP, gaining 33.38% of the vote. 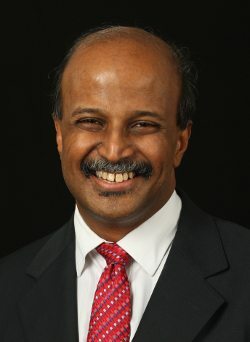 Sadasivam was the candidate that fought David Ong during the General Elections of 2015. The ex-teacher garnered 26% of the votes in Bukit Batok in a three-way fight (the third being independent candidate Samir Salim Neji). Little is known about how Sadasivam intends to contest the constituency. He is more than likely to bank on national issues, the need for “check and balance” and stay away from discussing Ong’s affair in detail. However if the SDP is serious about winning the constituency, they ought to send in someone that would decisively win the battle. This is someone who can eloquently speak for the voters. Someone who has the gravitas, whom the constituents can take seriously and who has the charisma to sweep himself into Parliament. The tissue paper had been cast. The seat has been choped. The SDP has some months to go before the By Election is called. May they not waste the opportunity to win. I’m not altogether sure that the ‘by-election effect’ would exactly work wonders for the likes of the SDP generally, and for CSJ in particular. They overplayed their hand and overflowed with confidence during the last GE, harping on the same old issues such as immigration & foreign workers/talents, but that clearly resonated with only a small number of voters then. They will have to put on their thinking caps this time round and generate fresh new ideas that can fire up and win the hearts & minds of the electorate before they stand a realistic chance of winning even one seat in Parliament.